These energy attunement classes are designed to activate your inner healer and practice tools and rituals you can use anytime, all year round. Energy work can be a vital component to awakening, as old ego conditioning and habits often don’t release completely with spiritual practices alone. 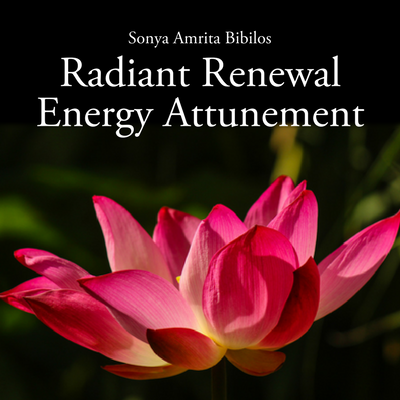 The Radiant Renewal Energy Attunement will give you an opportunity to clear old conditioning you might not even realize you can release. 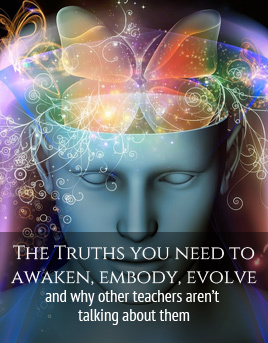 This is designed to support you to expand into and experience your authentic, true self. This 90-minute teleseminar will include guided meditation, individualized energy work, visualization, and collective sacred ritual. Want to attend but can’t make the date? Everyone who registers will still receive energy attunement from me, and you will also automatically receive the recording. “Thank you so much for the Energy Attunement Class. I hadn’t realized how heavy I’d been feeling until after the class when I felt remarkably light, and I’ve stayed feeling light! I’m using the exercises regularly and it feels important and much needed.” ~ J.L. “I did the Divine Radiance Energy Attunement this morning. Oh my dear, that was so beautiful. So special! Thank you. It was just what I needed. I am so grateful. Thanks again.” ~ K.T. $50 — Special price for the holidays (normally $75 – $100)! Cost includes the recording that you can listen to any time you need renewal. *If you have a roommate or partner who will be participating with you, please make sure you add their name in the registration process so I can give them personalized energy work.